‘A bit stressful’ . . . just thinking of you – methinks we may be in the same boat . . . ‘float’ and count the minutes and the days . . . ‘that too will pass’ . . . an exceptionably interesting and mouth filling concoction I have decided to make for some friends popping in tomorrow thank you and we’ll lift a glass for each and every one of us, wherever . . .. . .
‘; . . . . The green of spring is singing from that bowl. I’m so hoping that your stress level will lower soon, the weather gets better, and Phil heals quickly! I though you would love this one! indeed tahini and yogurt… wow! 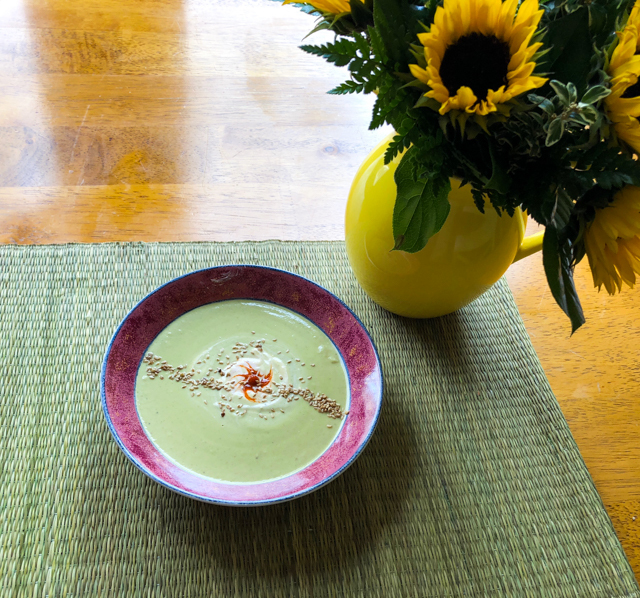 Zucchini soup was the first soup I ever made after getting married. I adore it. It will be so much fun to add a bit of mystery after all these years! So glad you could join us and share this gorgeous soup. 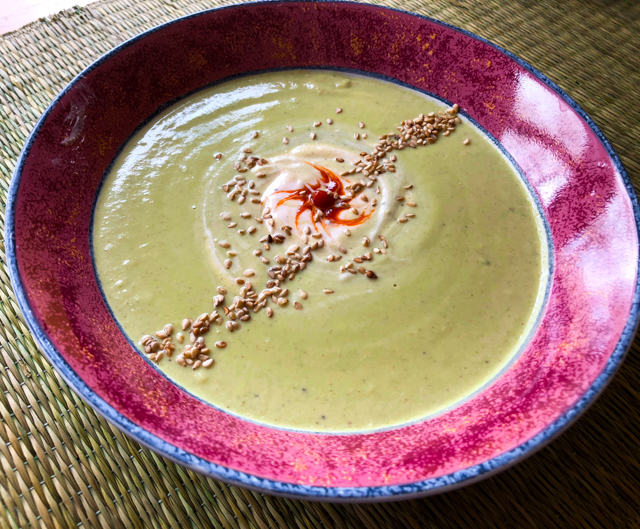 I love this beautiful green color of the zucchini soup. Such a pretty bowl of soup and one that I can’t wait to try! Soup Saturday, what a great tradition idea! This particular recipe looks delicious, thanks for sharing.